It was actually really beautiful and we took it home to dry and hang up on Taryn's art wall. 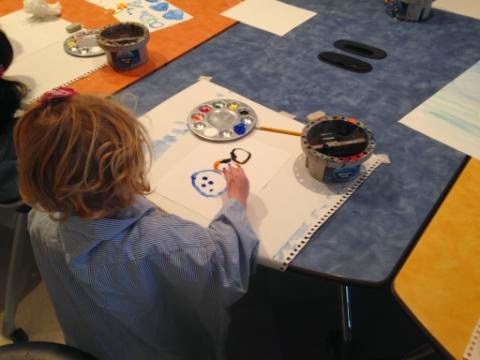 We will definitely be going back for more mini art classes! 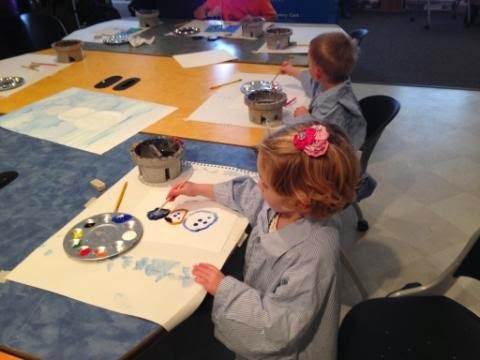 I loved that each child got a little canvas paper- it just made everything seem that much more "official" and you had the option of wearing an art smock too (or old dress shirt!) The teacher made a beautiful snowman to use as an example and it was amazing. I have so much appreciation for those who can creat such wonderful works of art with their own two hands.